SES has significantly increased their technical reach in Nigeria to more than 11 million TV homes in 2017, up from three million in 2015, according to Satellite Monitor, a market study commissioned by SES that provides insights on the broadcasting industry and on SES’s reach in the country. The Satellite Monitor results reveal that SES now reaches over 11 million TV homes, of which 3.5 million are directly served by its satellite fleet — a twofold increase compared to 2015. This means SES now directly serves 37% of satellite TV homes in Nigeria. 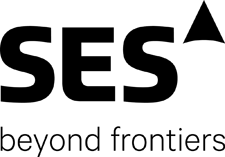 Digital Terrestrial Television (DTT) homes fed indirectly by SES also contributed to the increased reach. Artistic rendition of the SES ASTRA-2E satellite. Image is courtesy of Airbus Defence and Space. 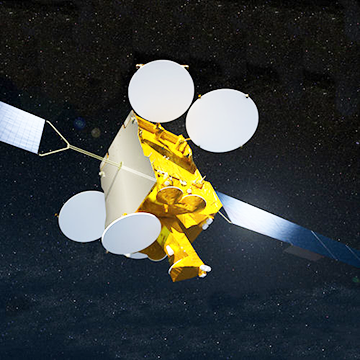 The prime orbital position at 28.2 degrees East was a key driver for the growth of SES’s direct reach, with three million TV homes directly served via this orbital slot, up from 1.3 million in 2015. This video position hosts SES’s premium free-to-air TV platform for Nigeria, giving broadcasters access to the highest technical reach in West Africa. The growth of SES’s reach was also driven by direct satellite broadcasting and feeding DTT head-ends via 5 degrees East. There are a total of 35 million TV homes in Nigeria, of which close to 10 million are served by satellite, and the rest are served by terrestrial networks. The penetration of digital TV has expanded to 25 million homes receiving digital TV signals, which represents 35% growth compared to 2015. SES has also expanded its reach to 30 million TV homes across Africa. In addition to the growth of homes reached in Nigeria, the study also shows that there was an increase from 2 million to 4 million homes reached in Ghana. Ethiopia, Uganda and Tanzania – which are being included in the Satellite Monitor for the first year — account for an additional 7 million homes reached by SES. Clint Brown, VP, Sales & Market Development for Africa, SES Video, stated the company is particularly excited by the firm's growing technical reach at 28.2 degrees East, which broadcasters and content programmers will be able to leverage to increase their audience via the SES Nigerian TV platform. In addition, the results show that the hybrid DTH/DTT approach is the winning strategy to deliver TV entertainment to the highest number of TV homes.